IIJW India is surely one such event that People like us; who are fond of latest Jewelry and Ornaments always wait for. 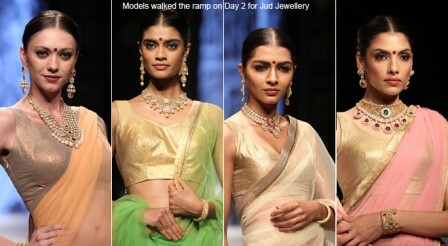 Some major Jewelry Houses showcased their latest Gold and Diamond Jewelry collection at IIJW. I enjoyed each of them (will write separate story on it) but today I want to talk about our friend who showcased his collection at IIJW first time. I am talking about SumitDasgupta. This time he designed bridal collection for CVM Exports. The bridal collection at IIJW, Sumit Das Gupta has designed the gorgeous rainbow mermaid lehengas, goldcholis and dupattas in tulle and silk and added to the bridal splendor of the collection. On the 2nd day at Pragati Maidan in Delhi, where he showcased the jewelry of bridal collection for CVM Exports. 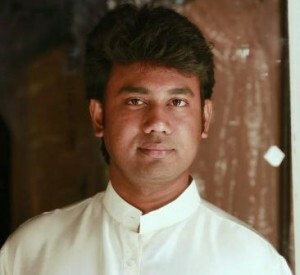 He is from Kolkata, he did his degree in fashion designing from National institute Kolkata and New Delhi, then he have done his masters in fine arts from Chandigarh. After finishing his studies he started concentrating on fashion world and launched his first collection in Kolkata fashion week. He is a self-made talented fashion designer who has a passion as well as great talent for fashion designing and glamorous world. This is an initiative to showcase India’s finest jewellery, be in design or innovation, supported by top craftsmanship, technology and quality to the customers around the globe. IIJW is an attempt to provide an international platform to India’s leading designers.